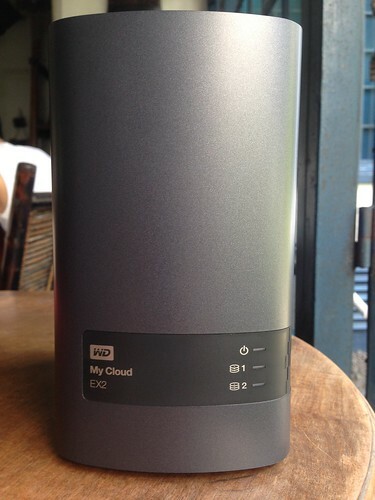 So the Junkyard was invited to take the new Western Digital My Cloud EX2 for a test run for a few weeks and being the geek that I am, Gretchen found it suitable for me to take on the task of testing it and writing the review myself. Needless to say, with all the technicalities and nerdery involved, I didn’t hesitate to say yes. Kindly bear with me as this is my debut article for the Junkyard (though I owe Gretchen a couple more actually, which unfortunately, I have not been able to write…yet) and allow me to show you the beauty and fashion that is just as alive in the tech industry. Read on below to check out the Junkyard’s Western Digital My Cloud EX2 hands-on review and find out if it’s one of those toys that’s suitable for you. Disclaimer: gretasjunkyard.com does not condone or encourage piracy or the use of any illegally distributed media material. All materials used in this article are photos taken by the author and all external material are licensed and orginal. The Western Digital My Cloud EX2 is a high-performance NAS (Network Attached Storage) that can hold your files allowing you to access them wirelessly. It works as your own cloud server providing you a massive amount of file storage and at the same time makes your files, whether they be documents, music, photos, etc…, accessible to you almost anytime, anywhere (provided you have Internet connection of course). Simply put, it works similarly to Dropbox, Google Drive, Sky Drive, and iCloud (for Mac users) with the difference of having the hardware itself with you and having complete control of the configuration and settings of the server. Personally, I use Dropbox, iCloud (i’m not a Mac user as I only use iCloud to save my photos), and Google Drive, but after a few weeks with this beast, I would love to have one for home and family use. The way I see it, users haven’t adapted to fully utilizing cloud services and I have nothing against that. With security being one of the major issues alongside availability and accessibility of (really) high-speed Internet, you still see the presence of portable hard drives which thankfully, are now accommodating larger capacities and are becoming friendlier on the pocket. The My Cloud EX2 however, does give you an extra blanket of security as you would actually have complete access to it and you literally know where your files are being stored. Let’s talk more about that later. For now, have a go at how it would look on your desk. 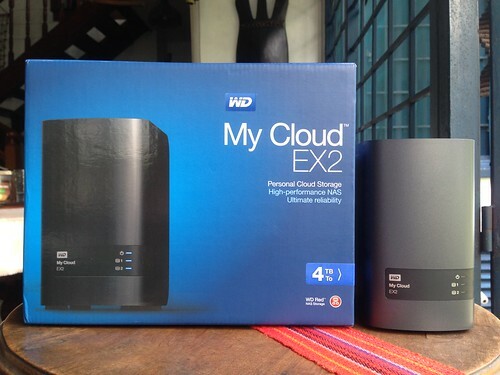 The Western Digital My Cloud EX2 alongside its box. We were able to test one with 4TB of the WD Red NAS hard drive. Front View – Here you see the Power LED for when it’s up and running and additionally, you have the Drive LEDs as indicators. 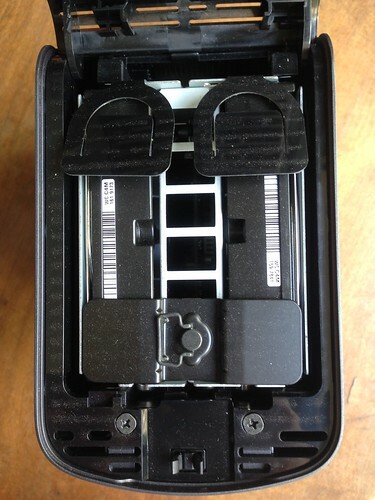 Right out of the box, the unit’s completely set up, physically, meaning the hard drive/s are already stored inside the enclosure. 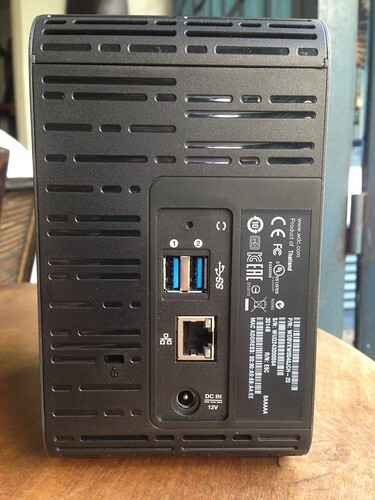 So all you actually need to pull out is the unit, the Ethernet cable that comes with it, and the power supply. It’s pretty sleek in its 6.10 x 3.90 x 6.75-inch all-black exterior despite it feeling rather “plastic-y”, all 3.4lbs of the device make it feel much sturdier than it looks. Once I pulled out everything from the box, I immediately knew where it would go and sit tight in the coming weeks. My work station at home is pretty simple. Since I don’t have a rig setup (yet), I just hook up my laptop onto my monitor when I’m working on the Junkyard and other projects. On the same table I have our modem and router, as well as an extra keyboard, and of course a couple of speakers. To put things in perspective, the My Cloud EX2 is that black box in between the monitor and the laptop (see image below). The one with the three small lights. Once the Ethernet cable was connected from the unit into our router, I just plugged in the power adapter and watched the unit boot up. The LEDs in the front face of the unit initially lit up in red while it was booting and once it was ready to connect, the LEDs turned blue. Blue lights signaled that my personal cloud server was ready for use. The My Cloud EX2 snuggly fit between my laptop and monitor. With the device ready, it was time to move stuff into its massive storage capacity. I expected a bit of complexity in making this work but I was honestly surprised that the programs required were easily available, and had a very user-friendly interface which worked pretty well. To start communicating with the device, I downloaded and installed the following programs from WD’s support site. WD My Cloud EX2 Setup for Windows – wizard that will get your computer to discover your device over the network for setup. Installation of these two will also include the WD Learning Center shortcut which is basically a guide and manual for your device. Pretty handy to have beside you in case you’ll need to troubleshoot. Once both were installed, it was finally time to setup my personal cloud. 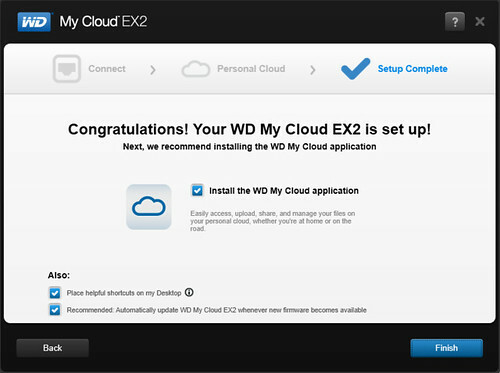 To start things off, run the shortcut to the WD My Cloud EX2 Dashboard which will open on your browser via the device’s IP address. Through the dashboard, you’ll see the current capacities of your storage device, firmware updates, and device health. You can even create user accounts that can remotely access your storage. Through the dashboard you can configure and customize your device as desired. Out of the box though, the admin account will already have been created and you’ll just need to generate a code through the dashboard to access your content on other devices, kind of similar to how bluetooth pairing works. Additionally, I went to the dashboard settings and enabled DLNA. 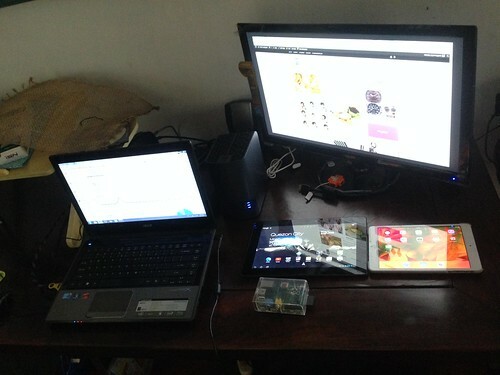 Other than that, the device is pre-configured to work. When you run the setup wizard, it will instantly detect the device connected to your network. Next, I just ran the setup wizard (which easily discovered the device on my network) and followed the instructions for each step to complete the process. 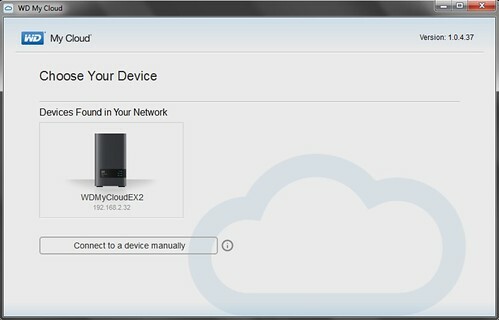 Note that in this process, you can create your WD account that will allow you to access your files from the device even when you’re connected through a different network. Once the device was completely setup, it was time to upload files. After complete setup of the device, which took me around 10-15 minutes, I ran the My Cloud Desktop App to start moving files into the storage device. The desktop app is pretty straightforward as well, with easy folder organization for both file access and cloud backups. The interface is nothing fancy but it’s easy enough to use especially if you’re already familiar with how Dropbox or other third party cloud services work. 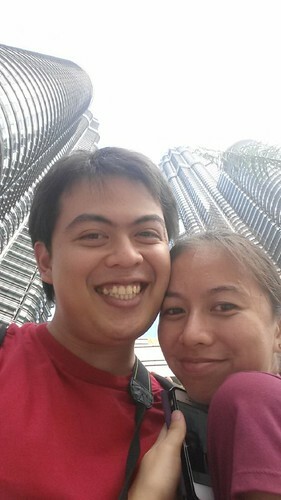 Some of the test subjects enjoying a fun time with the My Cloud EX2. The cloud server didn’t seem to have problems loading any of the files that I uploaded into it. All the files that I uploaded, I did so wirelessly through the My Cloud Applications whether on desktop or mobile. All these companion apps are free by the way. So I uploaded 3 movie files, 2 of which were animated, and one that wasn’t (Final Fantasy VII 1080p, Rise of the Guardians 720p, and The Immortals 1080p). I uploaded photos from my mobile phone and tablet, and music and other files from my laptop. All of which were copied into the My Cloud EX2 seemlessly. It accepted any file I threw into it from PSD’s, to .txt files, and even your usual documents, spreadsheets, etc. The My Cloud apps worked very well and were very easy to use given the interface. Again, nothing fancy, but user-friendly and it does the job. From where I stand, I don’t really need it to look any better than it already is. The user experience is better than average as it provides users with a seamless procedure of accessing their files. What’s in the storage device is in the app and if you want to watch, view, or listen, all you have to do is click on it or tap it and watch the magic happen. Even better, the quality of the file hardly suffered (depending on the capability of the device playing the file of course). As long as the device you’re streaming to can recognize the file extension and can play the resolution, then no quality loss is experienced. The two samples above were streamed through the 1st gen Apple TV which could not play 1080p video yet resulting in the first video to be choppy whilst the second one played at 720p very well. My Cloud Android app interface. 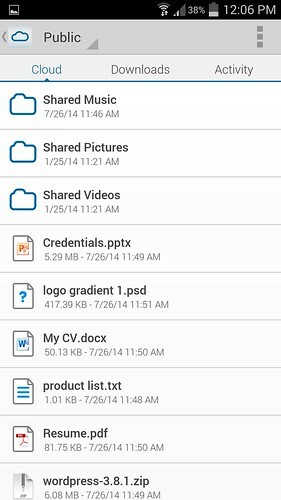 Just tap on the file that you want to access or you can directly download it onto the device. 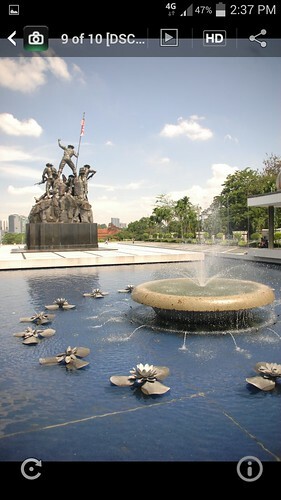 Sample photo that I downloaded into my android phone via the My Cloud App. I uploaded this photo into the cloud storage through the iOS app. Cross platform usage worked well. Loading time didn’t seem to be an issue at all either. 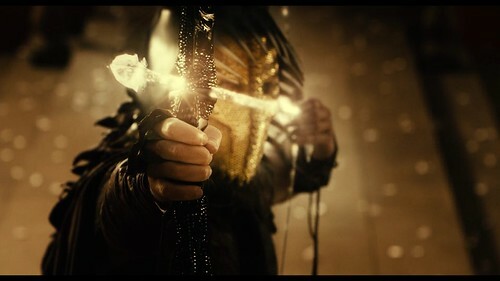 I didn’t encounter any buffering even while playing the 1080p movie files and fast forwarding to a particular scene. Perhaps a 2-second load for it to catch up to the scene but once it did, it played on. I can’t guarantee however that this applies to all users as I think it’s highly dependent on the Internet connection—luckily I’ve been happy with Fibr’s speed so far. I did however, test accessing the files through my LTE connection and this was when loading time took a little longer than I hoped, but satisfactory nonetheless. Maybe I was just comparing it to how fast it called the files from when I was connected to the same network as the device. This screenshot was taken from my Samsung Mobile phone streaming the 1080p video file through the LTE connection. In terms of compatibility with programs, I was a bit doubtful at first as I presumed that connectivity would be limited to being accessible only via the My Cloud apps. To my delight, there was no exclusivity at all. UPnP and DLNA connections worked properly and the cloud device was easily discovered and connected to XBMC apps on any of my devices. I even tried playing the same file on two different devices simultaneously and it worked perfectly—at the same time I tried streaming some of the music through the app on my phone. XBMC 13.1 beta running on my Android Tablet discovering the WD My Cloud EX 2 as a media server. Stream anywhere from the house! This photo was accessed via the WD Photos mobile app – yet another companion app that allows auto upload of phone snaps into your personal cloud server. 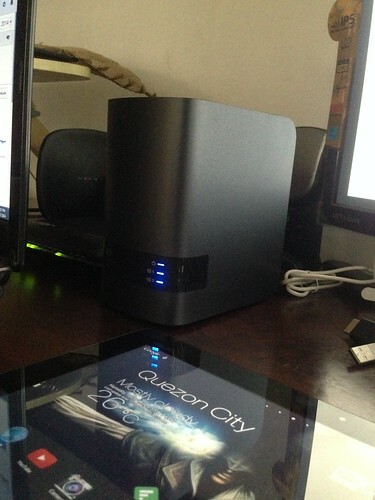 In just a short span of time, I was able to test the My Cloud EX2 rigorously for media consumption. With UPnP and DLNA working properly, I’m sure that it would also work on my PS3 (though I wasn’t able to test) and it would be a great way to centralize all the movies, music, photos, and other media files into one place. At the same time, these will be easily accessible throughout the house. It’s definitely a tool that may seem portable, but still highly dependent on a strong and fast Internet connection. That being said, it’s really not your on-the-go media storage device though you still would be able to access your media files even through a different network. I would discourage however, trying to stream to mobile data access as doing so would definitely eat up your data allocation—unless of course you’re only trying to access maybe some documents or a few epub files that you want to read on your impromptu trip. For media and entertainment purposes, this would be an ideal gadget to have in a home—especially with the emergence of smart TV’s, you’ll definitely save time and space on both your computer’s capacities and the shelves that once held your DVDs. If you’re into much more than that though, you’ll see that you have full access into the device and find it powerful enough to even host your own website or blog. The device comes compatible with various online platforms such as WordPress, phpMyAdmin, Icecast, and more. Though I wasn’t able to test the device for such use, I hope I would be able to do so in the future. In a way, you would also feel that your files are more secure here than with a third party provider but at the same time the device also allows you to configure the right security and access settings, as well as integration with other third party providers. This little black box really packs a punch and I can only wish that I could’ve had more time to test more of its capabilities. I hope that this review interests you and if you decide to get one yourself, please do share your experience and how you use and setup your own My Cloud EX2. Looking forward to sharing notes! The NAS is working just fine and can be detected at the store where I bought it. They say it has something to do with my modem/router. I guess there’s something wrong with it’s DHCP since I can’t even access it with the simple 192.168.1.x in the browser. Or the NAS can’t just work along with it. Apologies on the late response here, just been really busy. Anyway, physically, I don’t see why the LAN port would be an issue with the NAS. My router is/was connected to the modem’s first port and the NAS, then connected to the router. It could be a DHCP issue since I think ISPs provide dynamic IPs unless request for a personal static IP, but it shouldn’t stop you from connecting to it though, that’s a bit strange. With some of the other UPnP equipment that I’ve used (Chromecast was quite problematic at first) it was a double NAT configuration that I had to look into. You should be able to access the settings of your router directly even if you’re using the one provided by your ISP. So try looking into your router’s settings first. If that doesn’t work, I recommend testing out a separate router and hook up the NAS to that. Hope this info still helps! I was planning to buy the EX2 to use as a media server with my Raspberry Pi 2 running OSMC. Could you tell me a bit more about your own experience with the EX2 and Raspberry Pi? I haven’t had a chance to get the updated RPi 2 yet but based on what I’ve been reading since its release, its quite the upgrade from its predecessor but for now I’m still using my Model B but just as a personal file server – so I’m hoping I could grab hold of the RPi 2 soon. When I used to run the RaspBMC build on my Pi though, the only things i hated were that videos wouldn’t load immediately and there I would run into the occasional buffering (depended on the video I would stream). Personally though, I think that it was due to the humble hardware that the old RPi housed. However in terms of connecting to the EX2, I never really ran into any issues and was pretty satisfied with the setup. With the hardware upgrade on the RPi 2, videos should open faster and performance should be significantly better. I think OSMC is already built on top of the Kodi Helix now and should run just fine on the RPi 2. I’m running Kodi on my tablet and TV now (All Android-based) and I have no issues with streaming over the internet or a personal server. The system handles HD videos without any hiccups. I would suggest though that if you’re using an AC router and you’ll be placing the RPi 2 where the 5Ghz signal is accessible, get an AC Wifi Dongle. You’ll feel the difference of the internet speed when your gadgets aren’t competing for bandwidth. Let me know when you’ve got OSMC setup and running, would love to get feedback on your experience with it. In getting the My EX2, if you have a lot of media on hand, I’d say just go for it. It works well and if you have time to really come up with a setup of your own, it turns into a much more functional device. I was wondering how you setup the personal cloud storage. I’m not techie so please bear with me. I have PLDT fibr like this http://uploads.tapatalk-cdn.com/20140306/ve5u4aru.jpg and it’s connected to my CPU. Do I need to change some configuration to make it work? I have a cisco E1200. How does the cabling work? Apologies it took a while to get back to you on this. 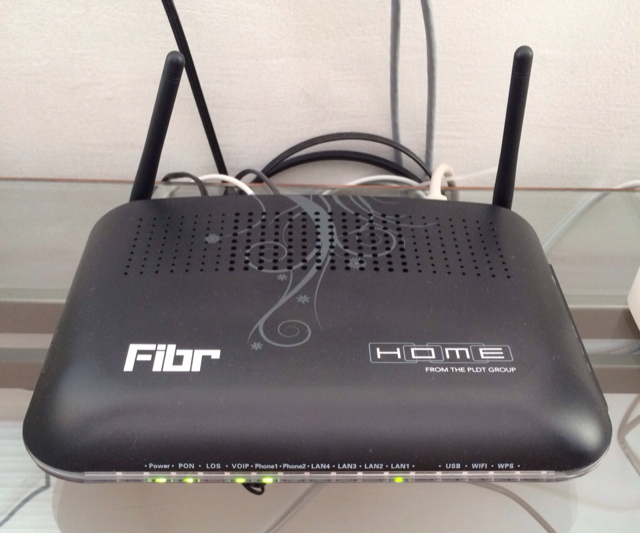 I have the same modem but also use a different router (TP-Link). Regardless of that though, I think the PLDT Router should work just as well with the My Cloud Ex 2 or any other Cloud Storage device. Just plug it into one of the LAN ports on the router and it should work. Alternatively, you can try Media Server software that can just run through your CPU. I personally use Plex since they offer it for free and use it only for home use. 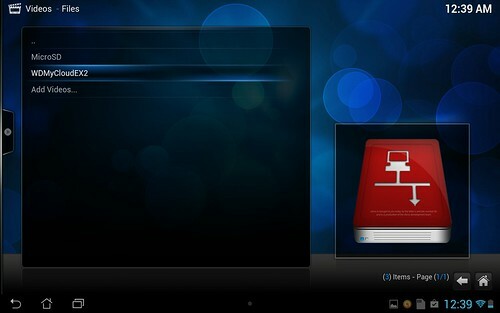 Just download it from their site and choose the respective folders from where you store your files on your PC. You will need to use the Plex App though but it’s pretty straightforward. Let me know if you give it a go. Cheers!